Guantanamo detainee Mohamedou Ould Slahi can’t have a copy of his best-selling book: His attorney wanted to give him a copy of Guantanamo Diary. Mohamedou Ould Slahi’s attorney traveled to the island prison to tell him his book was a smash hit. She couldn’t even give him a copy. 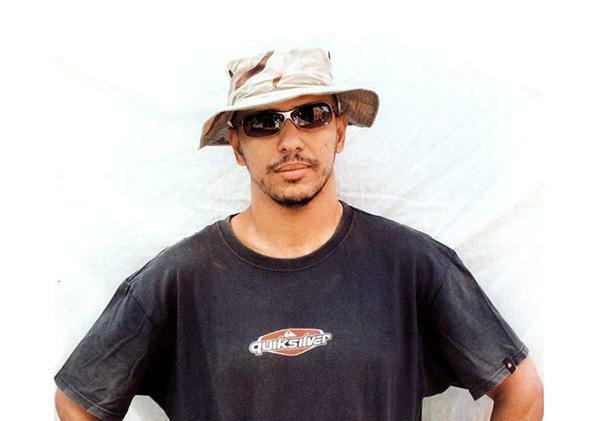 Mohamedou Ould Slahi, pictured in an undated photo taken by the International Committee of the Red Cross at Guantánamo, has been imprisoned for the past 14 years. It has become a rite of passage for new authors in the digital age to obsessively check Amazon to track book sales and tweet positive reviews in the hopes of picking up new readers. But for one author, whose book was on the New York Times best-sellers list for three weeks, this isn’t possible. He doesn’t know how well his book is doing or even what the book looks like. He lives in the informational black hole that is Guantánamo. Tens of thousands of people have now read the harrowing story of ISN 760, the number our client, Mohamedou Ould Slahi, was assigned when he was rendered to Guantánamo Bay in August 2002. On Nov. 20, 2001, Mohamedou complied with a request from the Mauritanian police to answer some questions. He has not been home since but has spent the past 14 years imprisoned. The United States has never charged Mohamedou with any crime. In April 2010, a federal judge granted his habeas petition, ordering his release. But the government appealed, and he is still there. His telling of his story first appeared in Slate in 2013, and his book, Guantánamo Diary, which he wrote by hand three years into his captivity, was published in January and has become an unexpected literary sensation. Last month, I traveled to Guantánamo Bay to deliver the news to Mohamedou in person—practically, the only way his lawyers can communicate with him—that his book had been translated into dozens of languages to international acclaim. I was able to tell him that nearly 50,000 people had signed an American Civil Liberties Union petition asking for his immediate release. He learned that people from all walks of life, including former government prosecutors, schoolteachers, singers, and poets, were moved by his story and came forward with support. I told him that celebrities and artists such as Colin Firth, Benedict Cumberbatch, Brian Eno, and others have recorded passages from his book, which are posted on a special section of the Guardian’s website. I hoped this news would give Mohamedou some comfort. I also wanted to show Mohamedou a copy of his book. I wanted him to see the power of its cover, which features the black bars of the government’s redactions, with just the title, his name, and his editor’s name peeking through, as if gasping for air. The cover’s background is Mohamedou’s own handwriting from his manuscript, fragmented words, censored because the United States claimed they were classified. But the rules governing what detainees are allowed to receive at Guantánamo prohibited me from giving him a copy of his own book. I couldn’t bring it in. Even though Mohamedou is the author, the book contains an introduction and footnotes that he did not write. Before seeing my client, the Guantánamo authorities asked me to certify in writing that none of the items I was bringing contained any classified material—a new requirement in the ever-changing rules for prisoner visits at Guantánamo. Because I could not say for certain that the author of the introduction and the footnotes had not included something that is classified, even if that information was already in the public domain, I couldn’t show Mohamedou a copy of his book. I was able to show him color copies of the international book covers of Guantánamo Diary and a photo of the U.S. edition as well as the front page of the Albuquerque Journal, which had a photograph of two of his other attorneys. But if an article about WikiLeaks or Chelsea Manning or anything else the government deems classified had also appeared on that page, it would likely have been prohibited. I know Mohamedou would have liked to study these items, looking at them over and over, but due to the rules governing detainee access to materials from counsel, I had to take them with me when I left at the end of the day. Over the past 10 months I have gotten to know you and we have become friends, I wish you good luck, and I am sure I will think of you often. … I hope you think of us as more than just guards. I think we all became friends. The only book he was allowed to keep was his copy of the Quran. We haven’t been told why. I cannot now write about what Mohamedou Slahi said to me during the visit because it is deemed presumptively classified—at some point in the future, a government censor will review my notes and determine what I can and cannot share from that conversation. That is the reality of representing a client in Guantánamo. But what I can say is that Mohamedou is deeply moved by all of the attention his story has received and appreciative for the efforts of all the people, worldwide, who care about his story. I can also say that while he is hopeful, he is fragile, debilitated, and he wants to be free.